WidsMob Panorama is one of the most powerful photo stitching software to composite photos to panoramas vertically, horizontally, 360 degree and in tile. 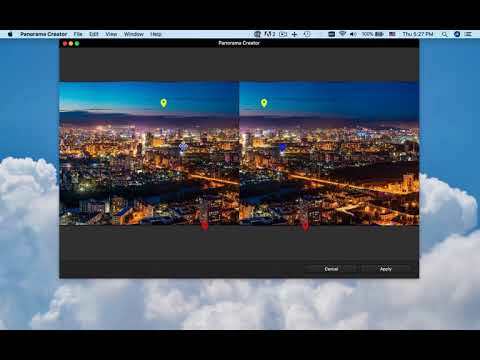 There are lots of customize features, such as adjust align points, blend parts manually and adjust effects of panoramas with ease. Auto stitch collections of unordered images into panoramas. It aligns images without manually messing around moving photos, automatic exposure leveling and lens shading correction. What is more, the program automatic crops the extras to present the best panorama photography. WidsMob Panorama was added by Charles_Grey in May 2018 and the latest update was made in May 2018. The list of alternatives was updated Feb 2019 There is a history of all activites on WidsMob Panorama in our Activity Log. It's possible to update the information on WidsMob Panorama or report it as discontinued, duplicated or spam. We want more alternatives to WidsMob Panorama. Feel free to add any alternative that you know of, or ask your friends on Twitter or Facebook if they can help out. Alternatives to WidsMob Panorama for Windows, Mac, Linux, Software as a Service (SaaS), Web and more. Filter by license to discover only free or Open Source alternatives. This list contains a total of apps similar to WidsMob Panorama. No reviews yet for WidsMob Panorama, want to be first? Maybe you want to be the first to submit a comment about WidsMob Panorama? Just click the button up to your right!